Rally the Readers: 2014 Australian Women Writers Challenge Completed! 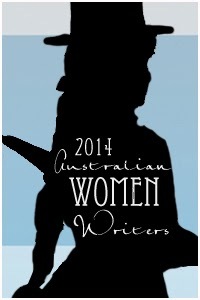 2014 Australian Women Writers Challenge Completed! I've really enjoyed taking part in this challenge the last two years, and though I think the number of 2015 reading challenges I'll be signing up for will be extremely limited just because I don't have as much time as I'd like for reading these days, I'd love to sign up for this challenge again. Looks like you're finishing strong, Lee! I'm trying! Going to fail my Goodreads challenge, though. :/ It's been crazy finding time to read with all of the holiday stuff going on.